Keep your food leftovers for longer without them spoiling. 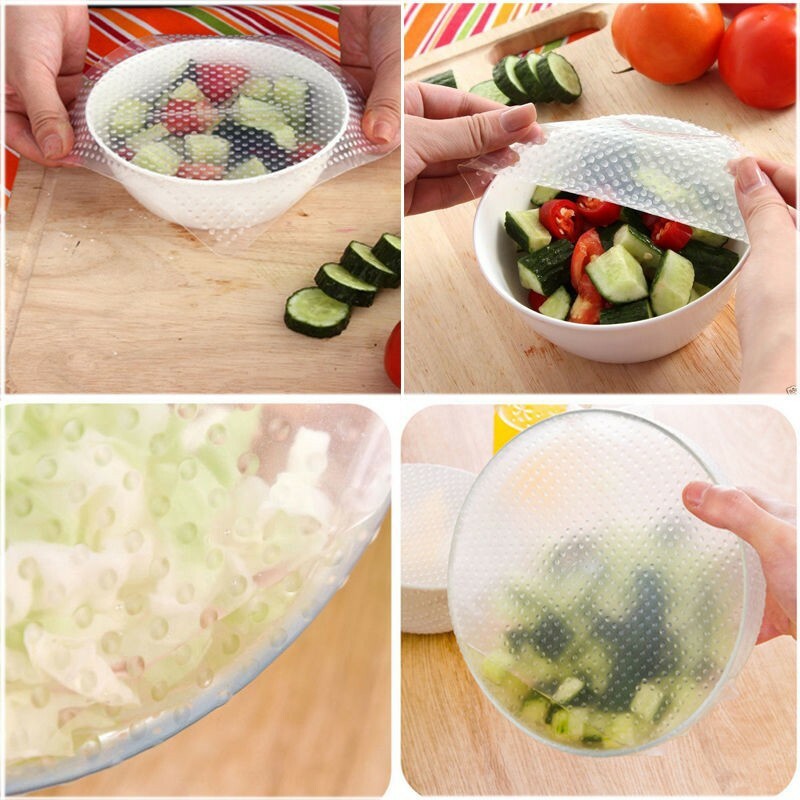 Your food will stay fresh longer with this reusable silicon saran wrap. Can also be used as a coaster/placemat, in the refrigerator, freezer and microwave. Reusable Saran Wrap was designed to be transparent, this way you can see your food easily and clearly without removing it- removing it even momentarily will reduce its freshness. Hygienic and safe- may be rinsed with boiling water and is dishwasher safe.